Speaking in the House of Assembly during the debates on the 2016 national budget, Hon Vanterpool noted that the actions of the TRC are counter to the development of the telecommunications sector locally. However, he said there are conflicts and issues. He made it clear that he was speaking as Minister responsible for policy as the TRC as a body is responsible for regulations. “I am going to make it clear that I am not happy...sometimes I think that they are blocking the way to ensure that we can get better telecommunications. Indeed Madam Speaker, I am going to make it clear that I as a representative of this government will not from a policy standpoint stand without informing them that our local company CCT will not be shut out of what they are doing in terms of spectrum allocation,” he said. The Minister said that even though the matter of CCT and the TRC has gone to the court, he is dismayed that the TRC appealed the ruling of the court case. “I have to make it clear to let them know that they continue to be the regulatory body. 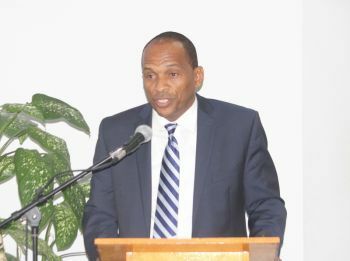 But as a Government our local company will not be shut out and therefore I hope that they will ensure that all of the companies are well represented as they allocate the Government’s and the people of the territory’s spectrum to be able to upgrade telecommunications in this territory,” he said. “I know that will make headlines but I want it to make headlines. We must also make sure that whatever is good for the goose is good for the gander and therefore if you are going to ask certain things of CCT you should also ask of all the companies and if you can’t get it of all the companies don’t ask it of any,” he said. 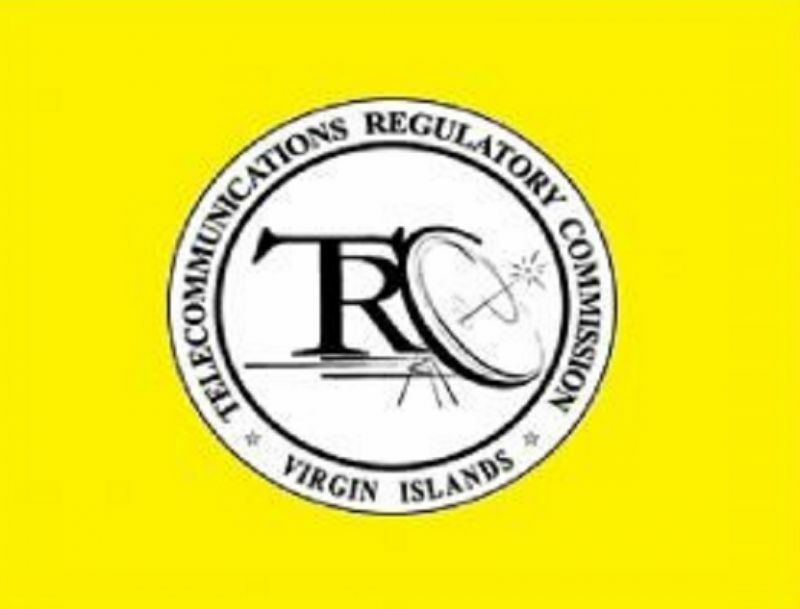 During 2015, the TRC allowed only two out of three companies- LIME and Digicel- to apply for the Long Term Evolution (LTE) Spectrum (4G) to the exclusion of CCT. 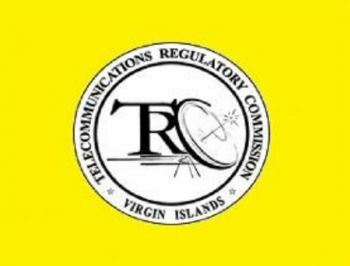 According to the TRC, the local company never applied for the Spectrum during the time prescribed and was using spectrum which the TRC claimed was unauthorised. Another reason why the TRC excluded CCT from the 2015 Spectrum Award Process was said to be because CCT allegedly did not pre-qualify for the award because it refused to surrender the 850MHz spectrum, which the TRC claims it went ahead with unauthorised. Because they raped us all those years when they had the monoply? Liberalization in the telecom market was introduced 2006/2007 and competition allowed better bargains for the people. Why y'all still beating CCT 10yrs later? To the benefit of the country they are still here offering prices for mobile service that is way better than the other 2 competitors, it is time to LIG the monopoly crap...LET IT GO!! I congratulate the minister for sticking up for the local company CCT. Without them the other 2 companies will be free to charge whatever they want for mobile and internet service. Thank you CCT and thank you honorable Vanterpool for looking out for the local people. He should not be sticking up for his private investments in the HOA. He needs to be independant, it's time that the ministers provided details of their investments to allow transparency. The Minister truly needs to actually set a written and Cabinet approved Policy that says EXACTLY what he is saying in public. Then find a real CEO for the TRC so that things can actually get done. The Minister has NEVER had a good thing to say about the TRC nor it's leader. No results from that CEO yet his contract is renewed once again. The Ports Director has a right to sue. Here we are many months and years behind in technology and promised dates of completion trying to get true LTE in the correct Spectrum and all the public has to show for it is promises, raised rates and court cases. By time LTE is functioning in the territory it will be the new outdated speeds that the rest of the world has already upgraded from. For years CCT was fleecing the people, making millions of dollars that should have been reinvested into the company to make it competitive with any other competitor in the market, but they chose instead to fill their pockets and stayed complacent, skirting the rules and compliance of the TRC, feeling secure with access-legitimacy-and-entitlement with the players of government. Now their sharks with sharp teeth are ready to draw blood. Get your acts together, grow and compete. The handouts will soon be over. Play by the Rules! Is that right? Do you know how much CCT has invested in the last few years in their LTE platform? And the TRC continues to play games because a certain person appears to have a chip on their shoulder. Please speak intelligently on the matter. The other companies are getting away with infractions daily and the TRC turns a blind eye. Now, why is that? The TRC should be ashamed of itself with the Minister having to say what he said. Run the TRC in an unbiased way and make sure the playing field is level. Until that is done, we will remain as we are are. The local company will not be shut out, and it's a pity it's a local is swinging the dagger in the TRC. I implore them to do better. No where in the world a local company is kicked out to make way for outside companies to shine. CCT has upgraded and should be given an opportunity to compete for the spectrum. What amazes me is that we seem to have given the TRC a whole lot of power and can't do much. Now that was a huge blunder on governments part. Why did they have to be forced to do so (upgrade), when they had soo many years before the entrants of competition? Be fair to the people and it will payoff in the long-run. @Direction is Up- "Upgrade in the last few years is right." They were forced to do it (upgrade). What happened to all those years before competition came into the market? Be fair and respect the value of the consumers and they will support you in the long run. You all sound stupid bad. The point is they upgraded. Who the hell cares when they did it! The point is they are upgraded NOW. WHEN YOUR BIG BROTHER AND BROTHER IN LAW LEADER OF THE COUNTRY ARE IN THE MIX YOU CAN RANT AND THREATEN ALL KINDA PEOPLE AND FOR GET WHERE THE HELL YOU CAME FROM. IN THE SCHEME OF THINGS. CCT don't want to follow rules. They want to break all the rules Because they think they have politicians on their side. Thats why they are lsft behind. Lime have a little of CCT attitude also. This guy still want that TT in his mouth! How you going to go and jeopardize TT Monster's investment? Say what you want about who all own CCT. I myself have a few shares and before the current management CCT never competed like this before. And facts is facts. Digicel beat TRC in court. No appeal. LIME beat TRC in court. No appeal. CCT beat TRC in court. OH NO WE CAN'T STAND FOR THAT!!! APPEAL IT ALL THE WAY TO THE PRIVY COUNCIL!!! It may be fun in a country where all we related to always talk about conflicts of interest and what not but this thing done went to court and Judge ain't related to none of we. This is clearly a vendetta against CCT by the supposedly unbiased TRC. I wonder what them have to LOO$$$$$E ???? Minister finally trying to protect my investment. Who TRC trying to protect??? CCT fleeced everyone when they first came to the market and had a monopoly. Instead they could have charged fair and reasonable prices which essentially would have not left a toe hold for any competition because there would not have been a market for them. So, investment club got their short term profits. Now, they have lost their market opportunity, and have failed. So, they need big daddy govt to keep them afloat when in fact they have become irrelevant. Good luck to them, but I won't be switching over to CCT anytime soon. The reality is any negative fictions and facts that people will through about CCT is in the past. 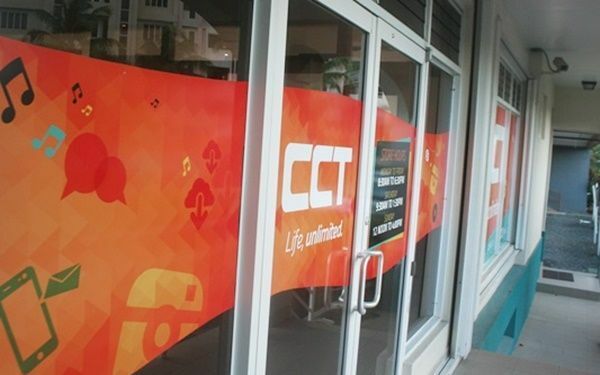 The company went through a major overhaul of network and staff and the NEW CCT has more than proven itself. And the other reality is --Why would any person living in the BVI or from the BVI want to vote for any government official that would do absolutely nothing to protect its local businesses. I think its time we start loving ourselves more and I feel that if we do that we would have less issues in this country and here is a thought you might find yourself having to explain where the BVI is far less. CCT should have paid for the spectrum they were on and entered the tender process like the others. CCT now needs to pay up. It is a gross conflict of interest for CCT owners and associates to involve themselves as politicians on the matter. Also to be a Minister for Communications.